On 15th December 1941, Allan arrived at Craig Field, Selma, Alabama, USA for Advanced Flight Training. On the 24th January 1942, Allan went to Eglin Field, Pensecola, Florida, USA and started his Gunnery training the next day in North American AT-6As. They flew over the Gulf of Mexico and shot at targets just offshore. I believe the cadets only spent about a week doing this training. On the 2nd February, Allan went back to Craig Field, Selma, to complete some final training flights. Due to the USA now entering the war and more pilots requiring training, the Advanced Flight Training schedule was compressed from 9 weeks to 7.5 weeks, with cadets flying 3 hours a day, seven days a week. It was probably this compressed schedule that contributed to the deaths of 3 cadets of class 42B, the last on the 5th February as the cadet was trying to get the final flying hours done before graduation. At 10:30am on Friday the 6th February, Allan received his Flying Diploma and 'Wings' at a graduation ceremony for all class 42B cadets. 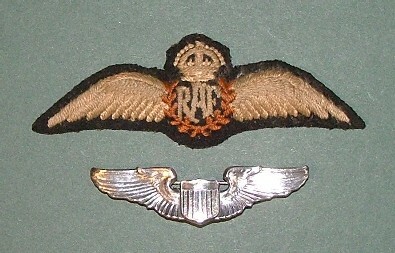 The Diploma was presented by Lieutenant Colonel Julian Haddon, and his RAF and USAF wings were presented by Lieutenant Colonel Charles H. Anderson. Click here to view a PDF copy of the Flying Diploma he received from Craig Field dated 6th February, 1942. (Note again his name is mistakenly spelt Allen). All cadets got a Diploma category grade of A to E, with E being the lowest. An E grade normally meant you ended up in Bomber Command instead of Fighter Command. I do not know what grade Allan got, and will probably never know as most Arnold Scheme records were lost. 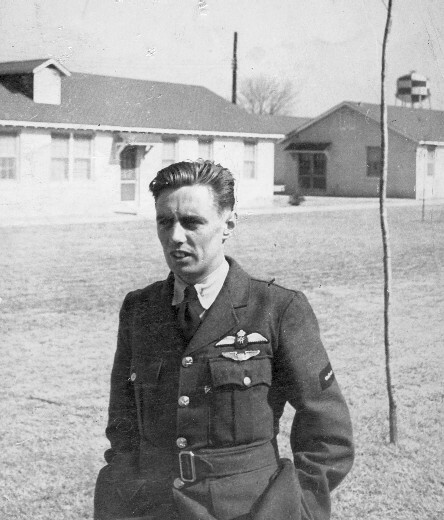 Allan was promoted to "Pilot Sgt" on the 7th February, 1942, the day after he got his wings. I believe this promotion for successful cadets was normal. On the 13th February 1942, he arrived at "31 PD" (Holding Unit) at Moncton, New Brunswick, Canada. On the 27th February 1942, he set sail for England on the H.M.T. Cameronia, to do his Operational Training.